Beautyworld opened its doors in 1998, a mother and daughter team working side-by-side. Jearmaine has completed her training with Beautyworld and is valuable support for her mother, Zofia. They have a very close relationship and a perfect understanding of one another. Both Zofia and Jearmaine hold great enthusiasm for the beauty profession which has become their vocation. To keep up-to-date in the field they regularly attend training courses and seminars in Germany. Jearmaine moved permanently to Marbella in 2014 and since then has been working alongside her mother in Beautyworld. With a clientele base becoming more and more international, Zofia and Jearmaine have updated their knowledge of English and Spanish and continue to work on improving it daily. With the exception of permanent make-up, a speciality of Zofia’s, Jearmaine has the same training and skills as her mother and whether the client is with one or the other, they will always be in the best hands. Beautyworld specialises in dermocosmetic treatments using high quality products such as Reviderm and Ruck, two excellent German brands that combine the latest technology with the power of nature. The active ingredients, identical to those that occur in the skin, act as powerful rejuvenators, favouring cellular regeneration from the inside to produce radiant and wrinkle-free skin. 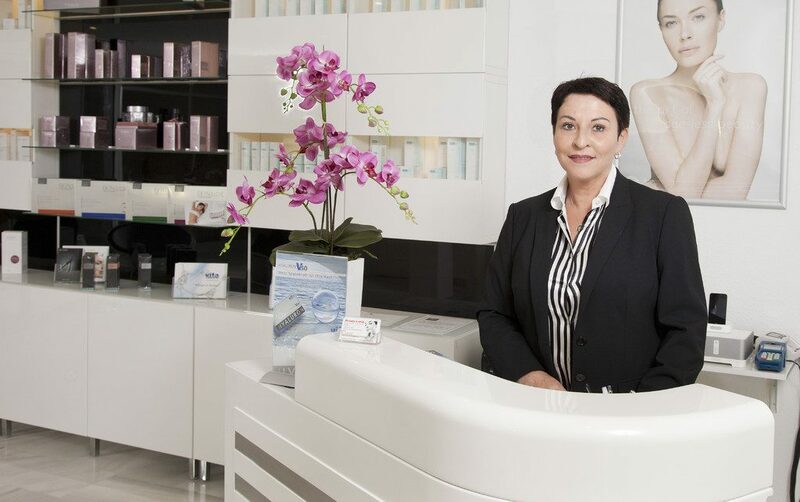 Zofia likes to make a point that at Beautyworld they don’t just offer treatments to ‘pamper’ the skin but ones that work to actively stimulate cellular renovation for visible and long-lasting results. Beautyworld offers professional advice, competent, reliable and tailored to the individual needs of each client. All the products used are free from allergens and irritants. We firmly believe that each and every one of us deserves a healthy and beautiful skin. Therefore, since 1998, at Beautyworld everything revolves around skincare.